This might sound like an odd soup... If I'm honest, I wasn't quite sure how good it would be the first time I made it, but once I tried it, I was in love and watching my husband go back for bowl after bowl was all the validation I needed. 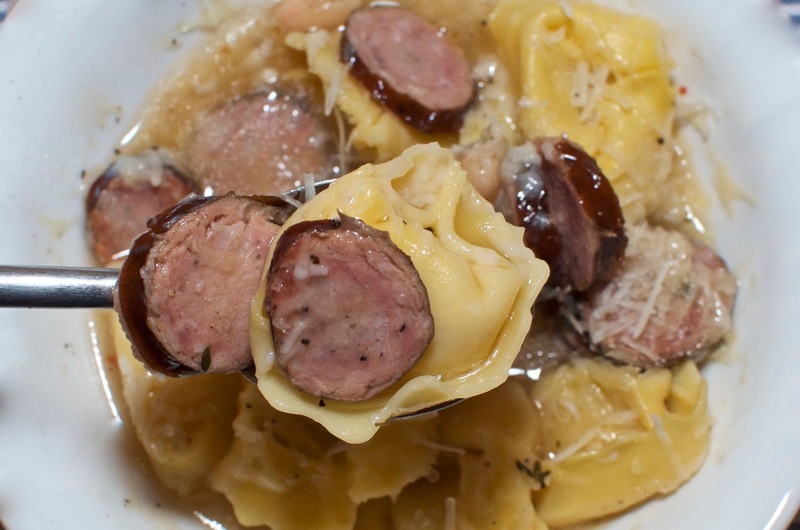 The tortelloni is filled with melty cheese, the beans give it an earthiness, the stock is salty and flavourful and the smoked sausage adds a unique flavour to the whole mix. Topped with Parmesan cheese for serving, this soup is as satisfying as it is comforting. When you're getting the sausage, you can of course opt for whatever options you can find in any grocery store, however if you're as lucky as I am to live near a Polish food store or another meat counter that sells Polish sausages, I would suggest starting there. I simply ask for a smoked kielbasa whenever I'm making this soup and the lovely ladies at the Polish shop in Putney give me the best option of what they have available on the day. 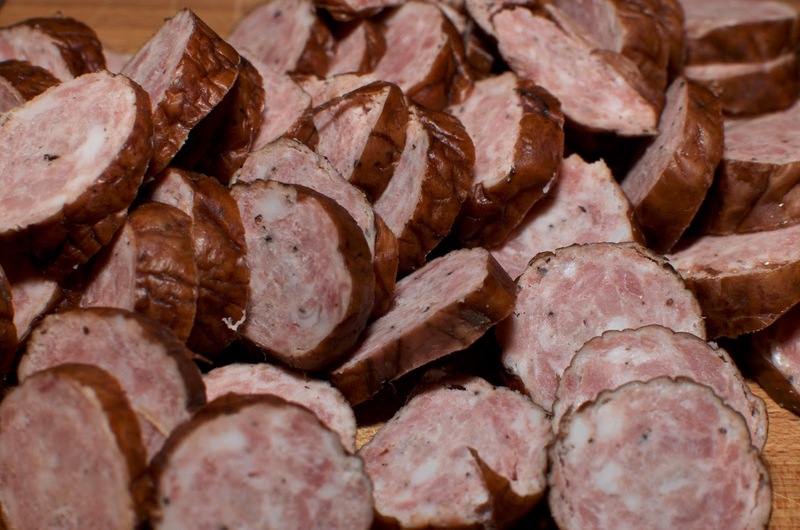 Whatever kielbasa you use, this is a delicious recipe - the smoked sausage gives a really unique flavour to the soup. 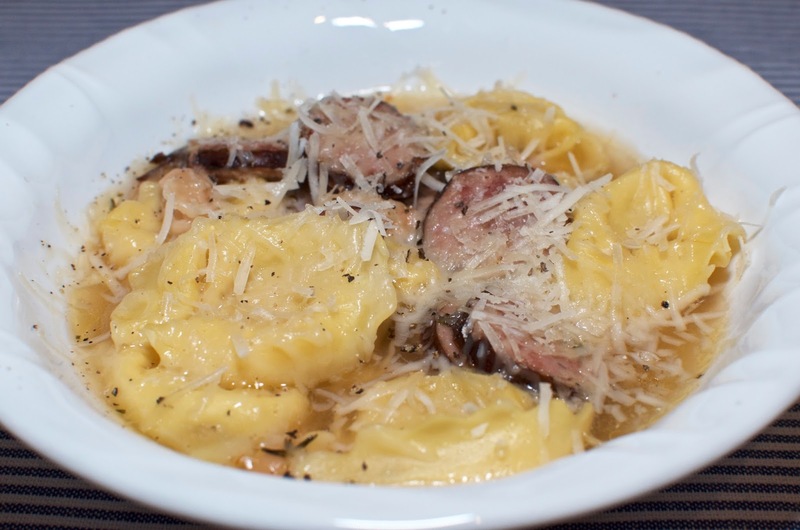 Also, for the pasta, if you don't want to use fresh cheese tortelloni, you don't have to. 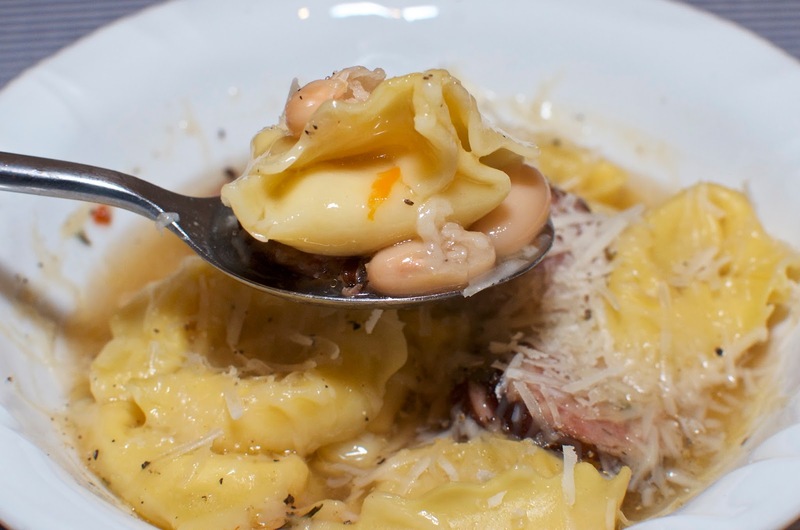 Any cheese filled fresh pasta will work such as tortellini or ravioli. 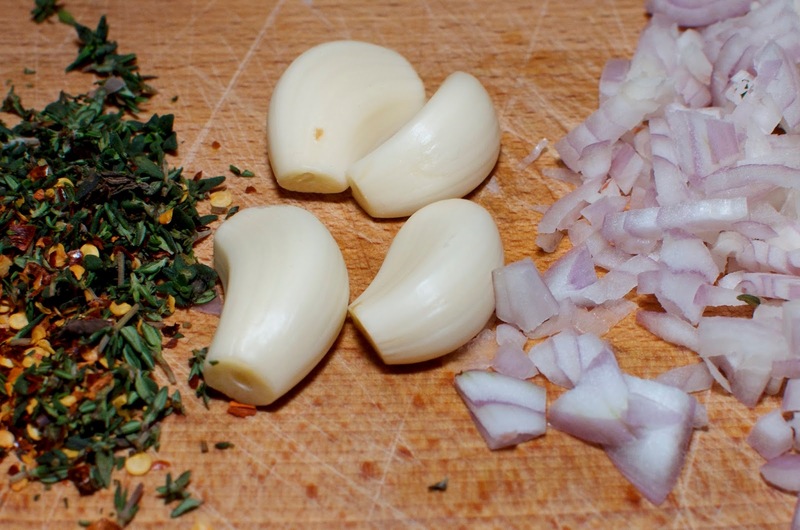 That said, you could also use a small soup pasta for this as well and it would be equally delicious - something like orzo or ditalini would be lovely. 1. In a large stock pot, heat the olive oil over medium heat. 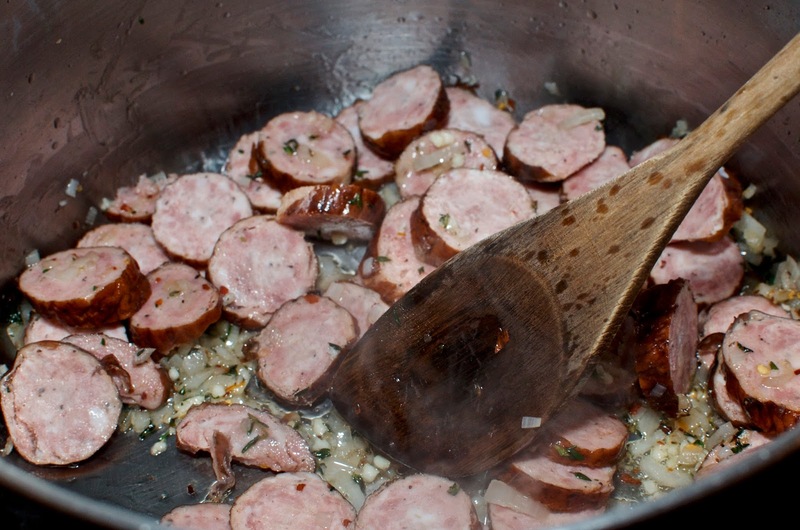 Add the chopped shallots, garlic, thyme and red chilli flakes and sauté for about 15 minutes or until the kielbasa browns, stirring or more likely, pushing around with a wooden spoon occasionally. 2. Add the chicken stock and increase the heat to high, bringing it to a boil before adding the cannellini beans. 3. Reduce the heat to low and simmer covered for about 10 minutes. 4. Add the tortelloni to the soup and simmer for 3 minutes more, or longer if needed until the pasta softens and is heated through, but still a little al denté. 5. Serve piping hot and sprinkled with freshly grated parmesan cheese and a grinding of fresh black pepper.